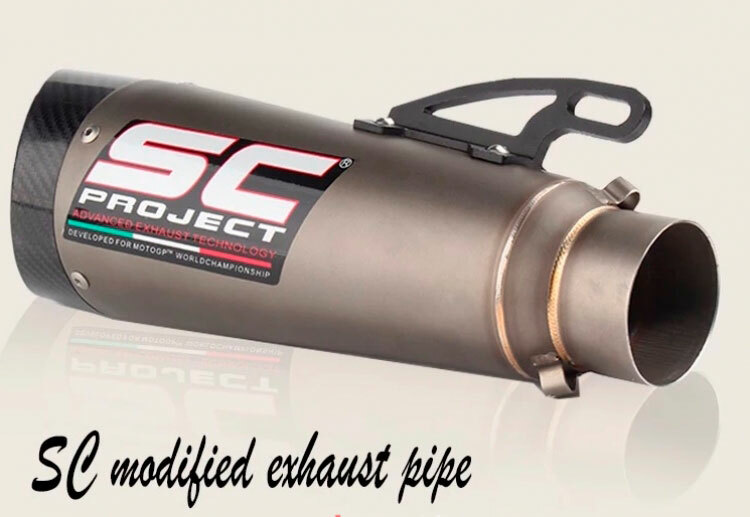 SC-Project exhaust systems are produced in Italy in a town near Milan, in a technological industrial plant of 9.000 sqm: in this building the manufacturing process is followed by specialized technicians who work with machineries of the highest technological level. 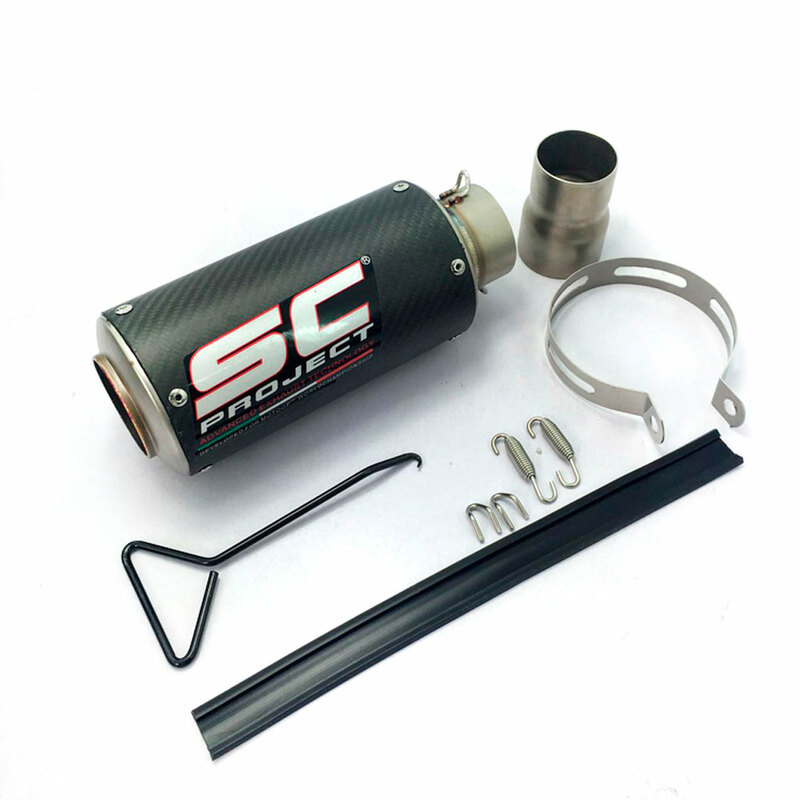 The qualitative standard are very high, materials are of the best quality and the productive process has been industrialized in order to obtain a product at the highest level worldwide, which can well represent Made in Italy. 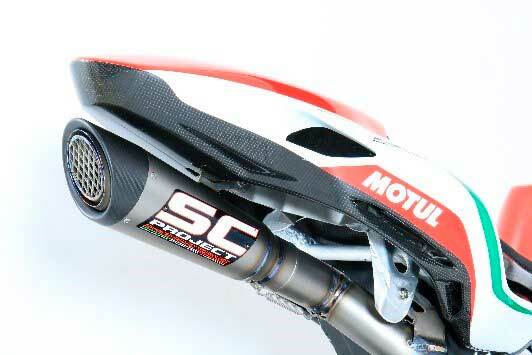 Technological innovations are improved with a direct collaboration with the best motorbike Teams of the world championships as MotoGP, Moto2, Moto3, Superbike and Supersport: the target is to transfer the highest technological standard, performance, reliability and product quality to the final customer who buy our products by our shop or by our sales net. 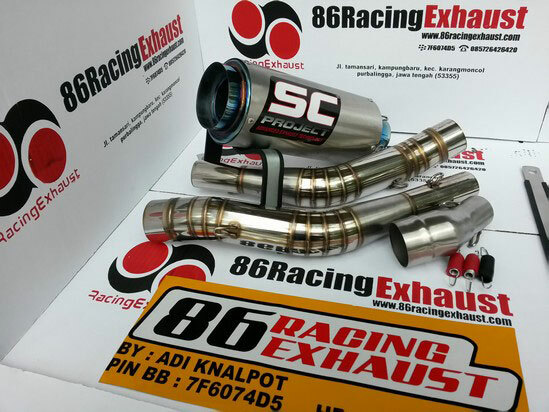 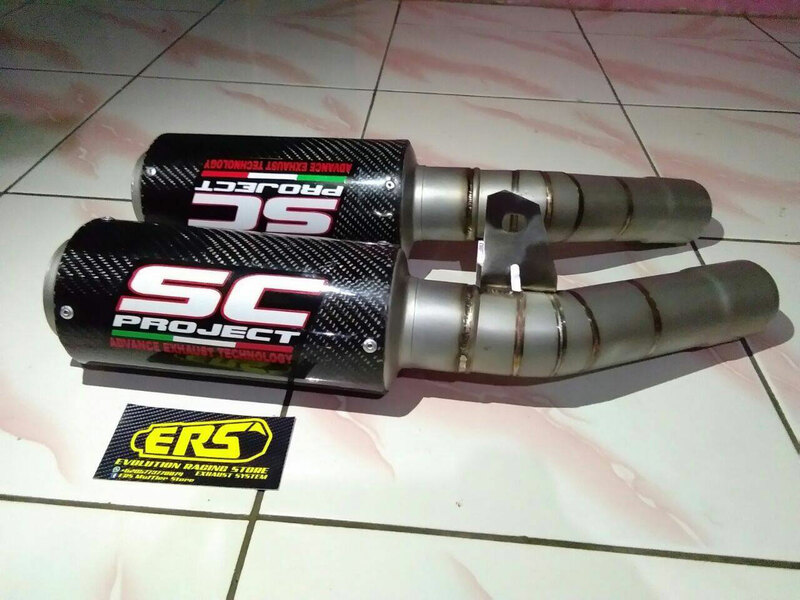 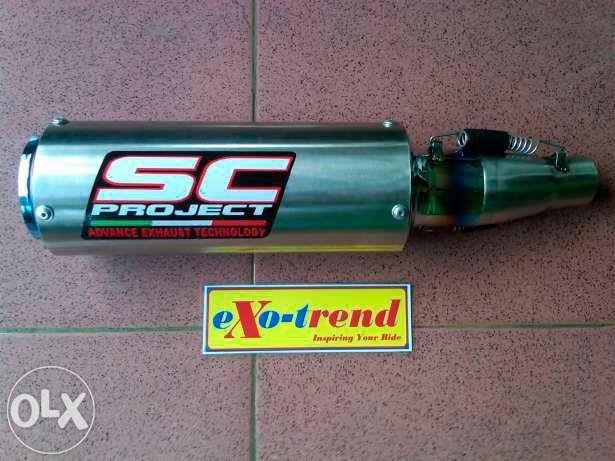 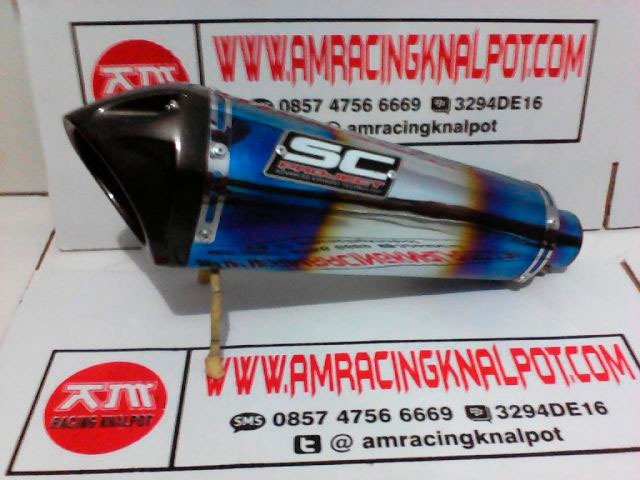 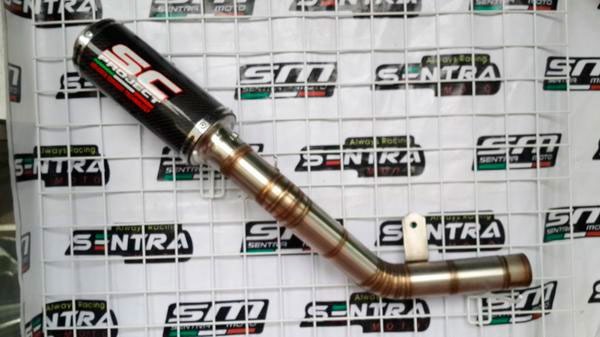 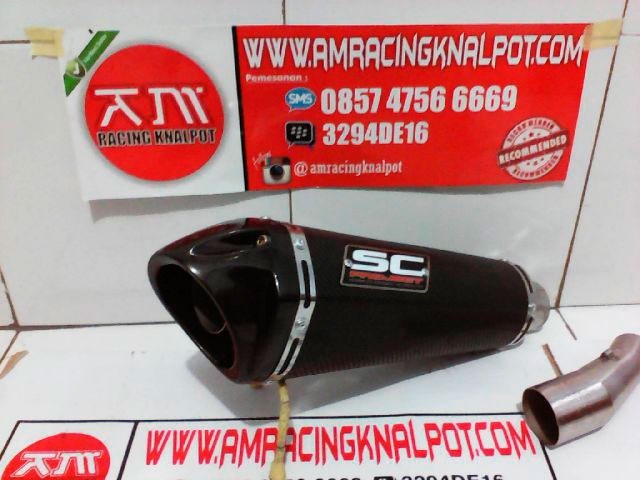 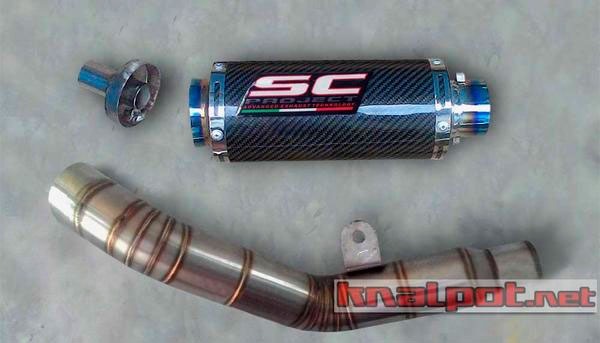 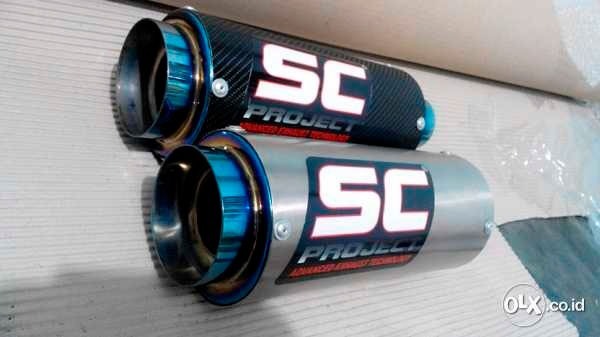 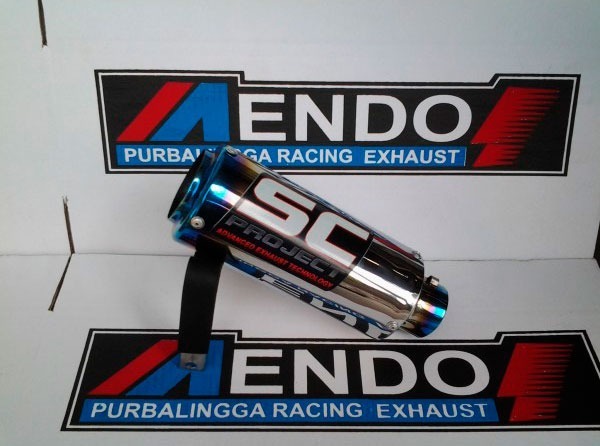 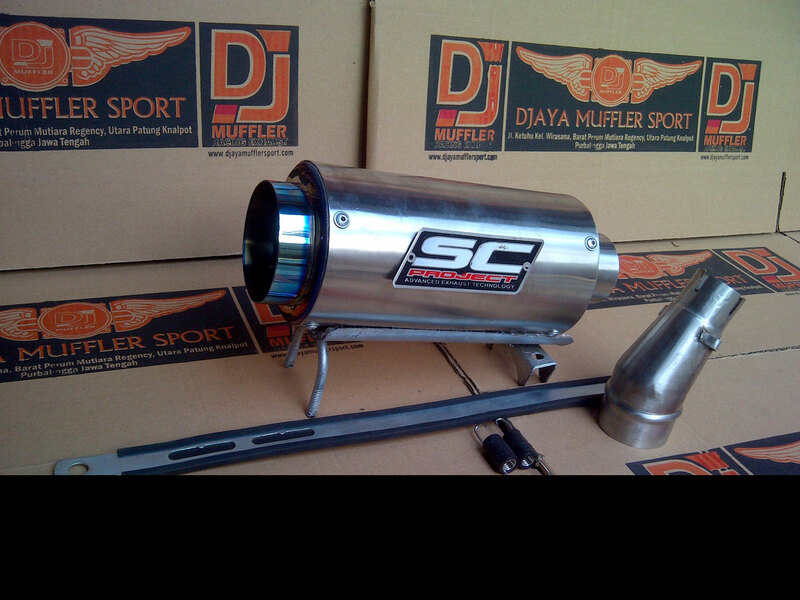 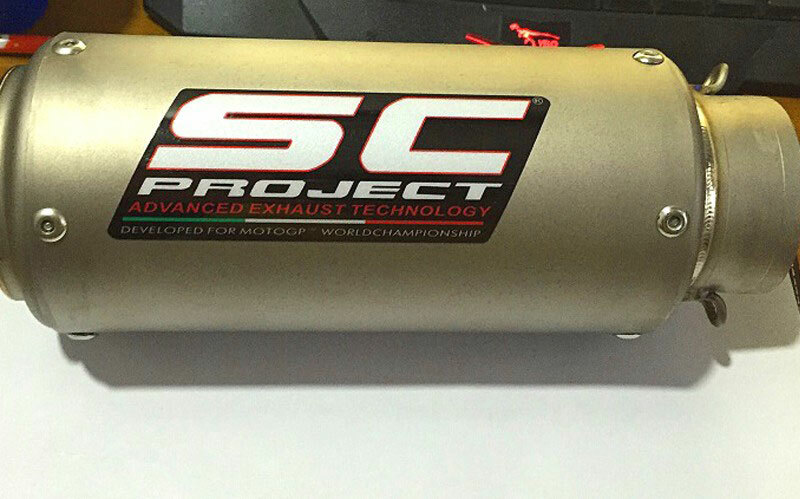 SC-Project brand is present in the major competition and world championship and is one of the most blazoned brand in the motorbike exhaust system sector. 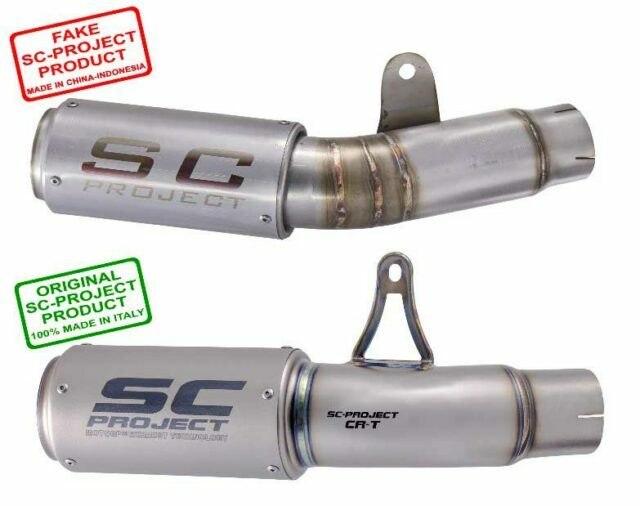 SC-Project products are among the most requested in the market and this often and often implies the sales of fake products which are produced by forgers who fraudulently brand their products, bad imitation and fake of SC-Project exhaust systems. 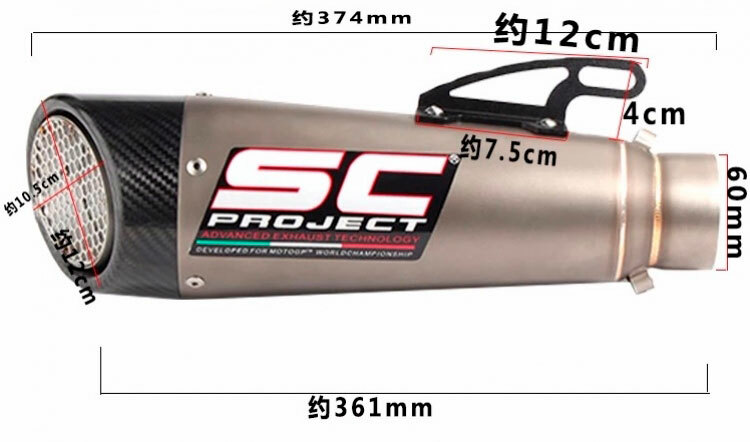 Copies and imitations of SC-Project products are of the lowest quality since produced by small craft companies without technology and technical experience. 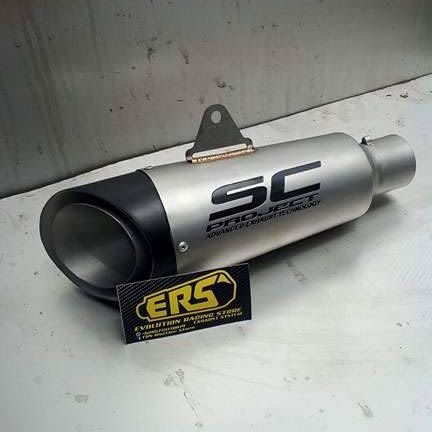 Materials are of the worst quality and haven’t any certification, producing quality is laking and can’t guarantee performance, reliability and endurance of an original SC-Project product – 100% Made in Italy- which is subject to several controls and strict standard. 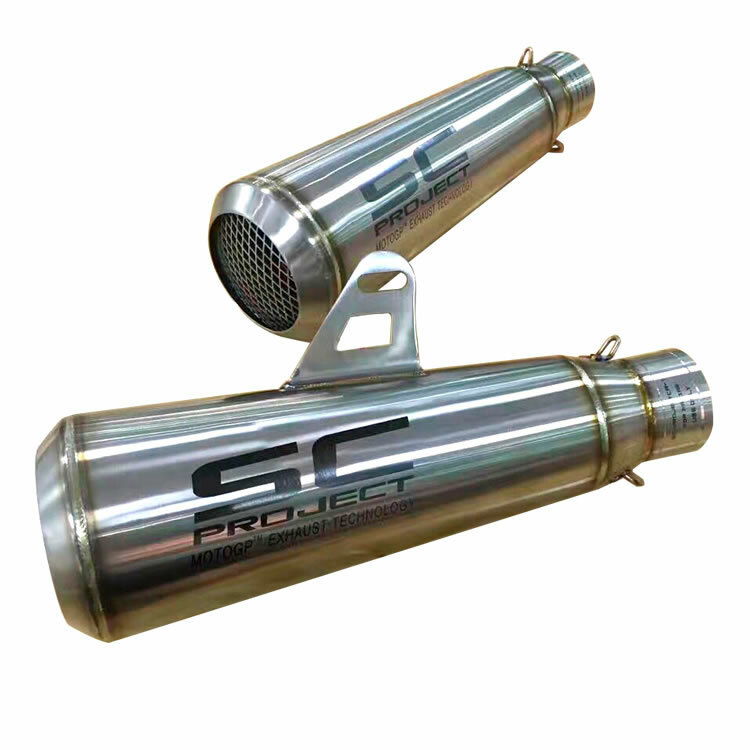 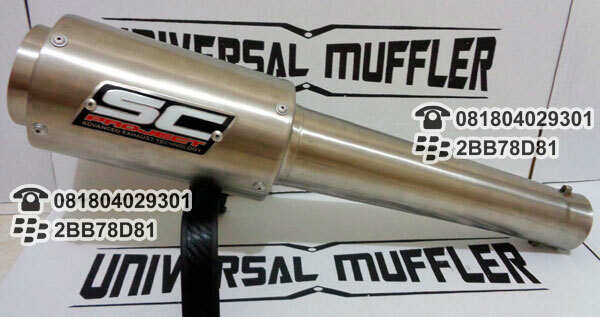 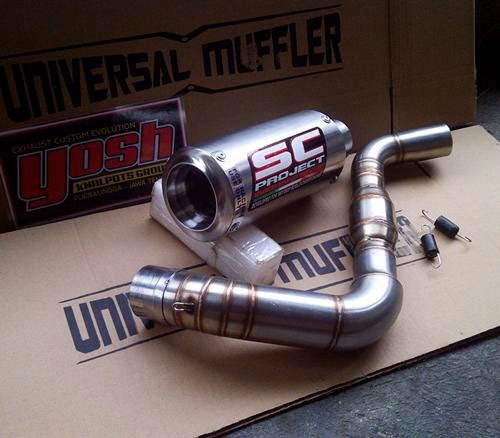 Imitations of our exhaust systems mainly come from China, and Countries from South East Asia (Indonesia, Thailandia, Taiwan and Vietnam) and are produced with poor material, without certification and technical and qualitative standard. 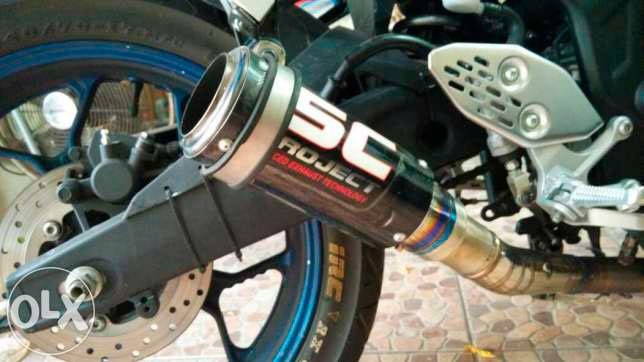 These products can cause serious damages to motorbikes and people who use them, since it is possible that the component can move from the motorbike during the usage, with serious damages to the motorbike and people. 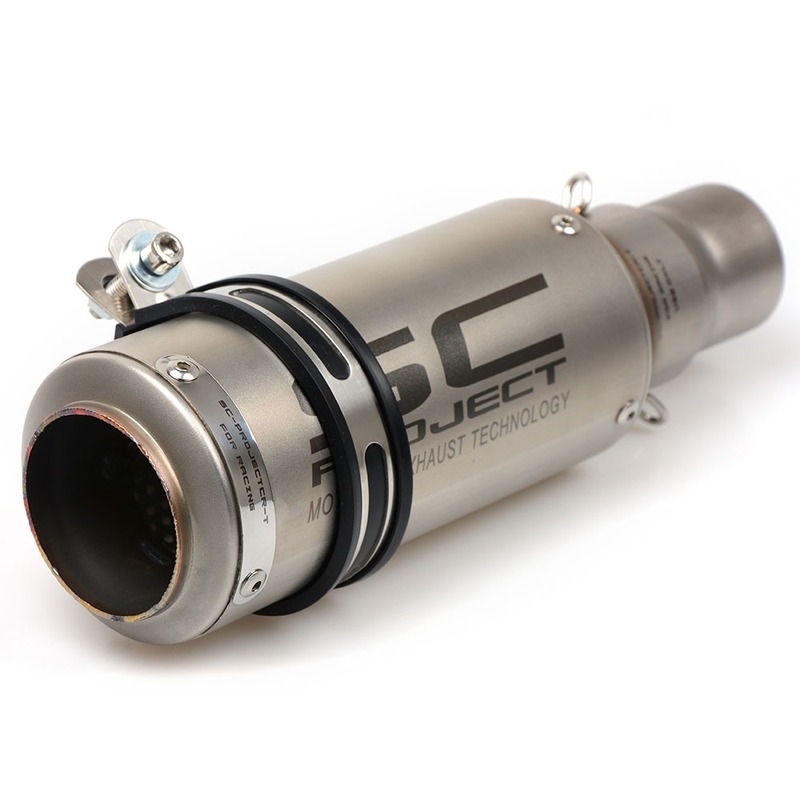 Price: a too low price than the one of the official web site www.sc-project.com or of other retailers is synonymous of something irregular. 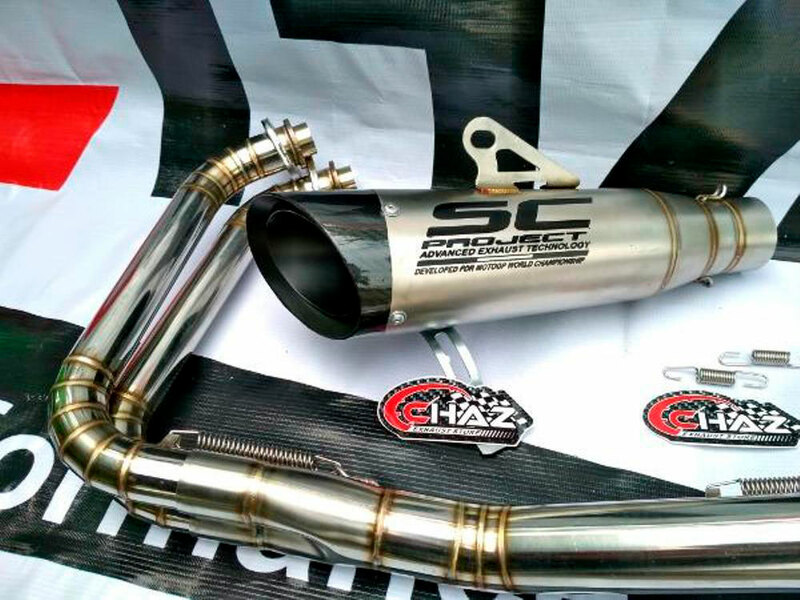 Quality and the best material have always to be paid. 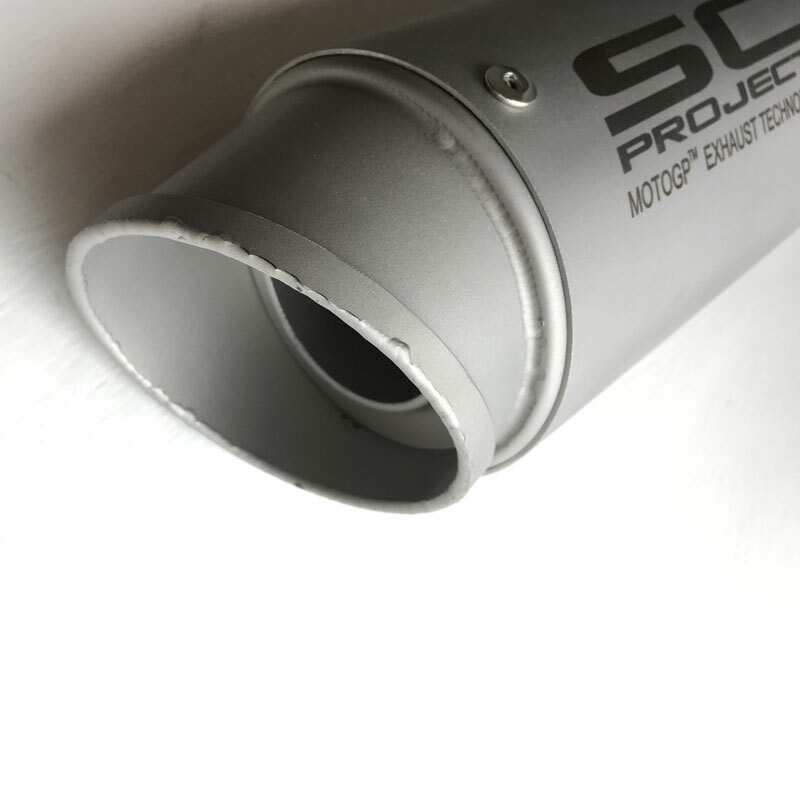 SC-Project produces all its own products in Italy, with advanced material and technology, all characteristics which imply a higher cost than fake products made in small craft workshop by not qualified people. 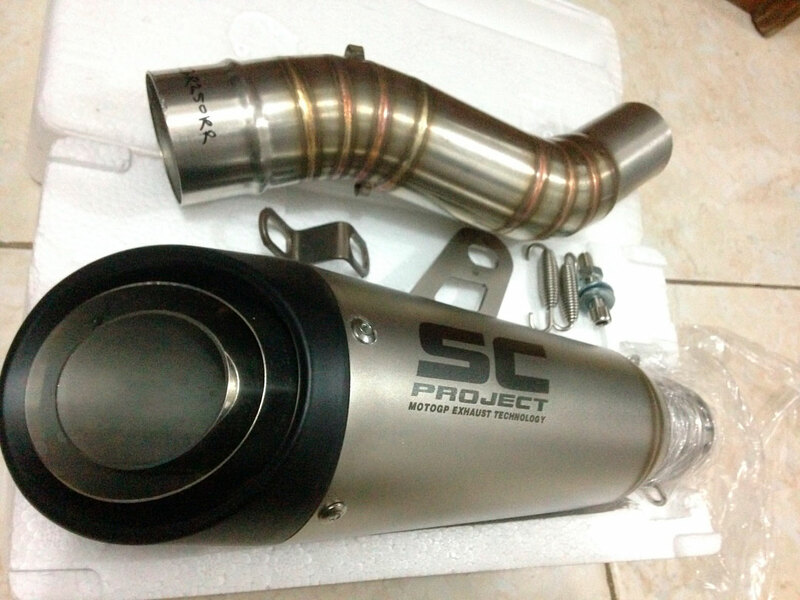 A product is cheaper because is shoddy, bad made and fake and on it SC-Project brand is set in fraudulent way. 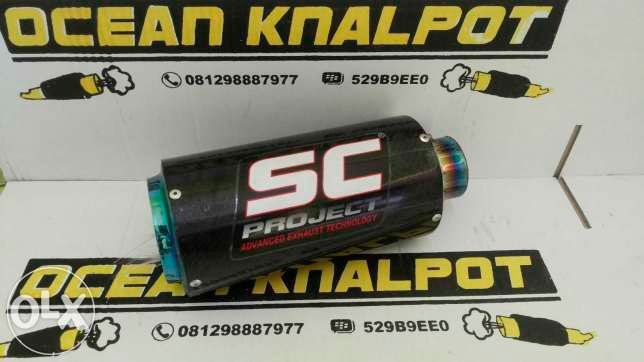 Origin: Fake SC-Project products mainly come from region of South-East Asia and China, where fake products are ordinary produced. 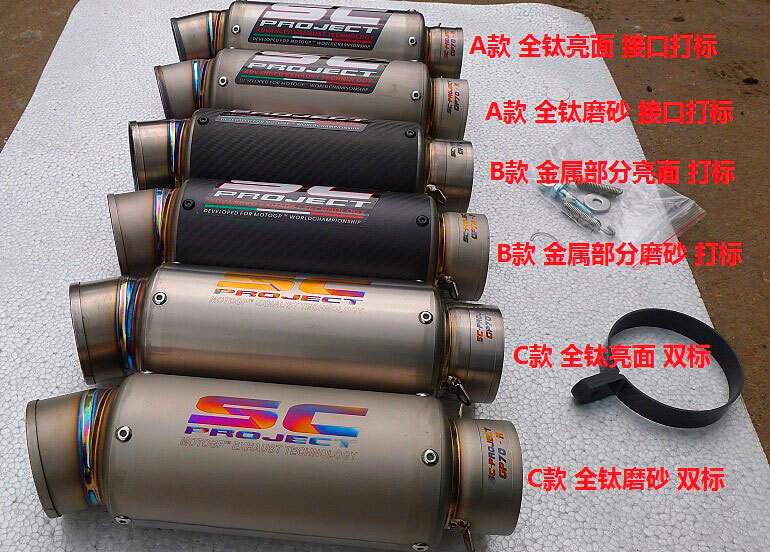 Pay attention to internet web site of direct sales from China, and other Countries as Thailand, Indonesia, Malesia, Taiwan, Korea, and Philippines. 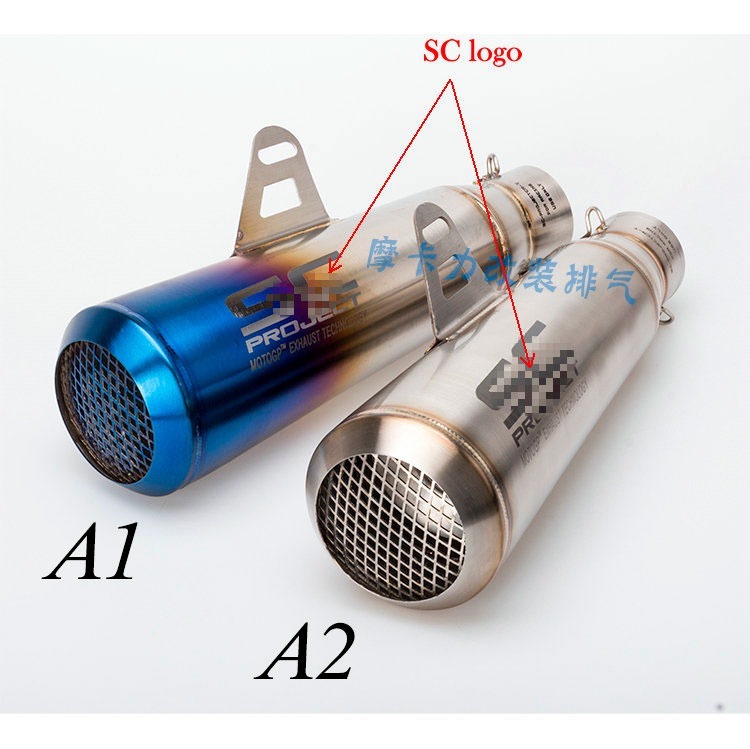 Fake products have a terrible quality that is not comparable with the one of the original product. 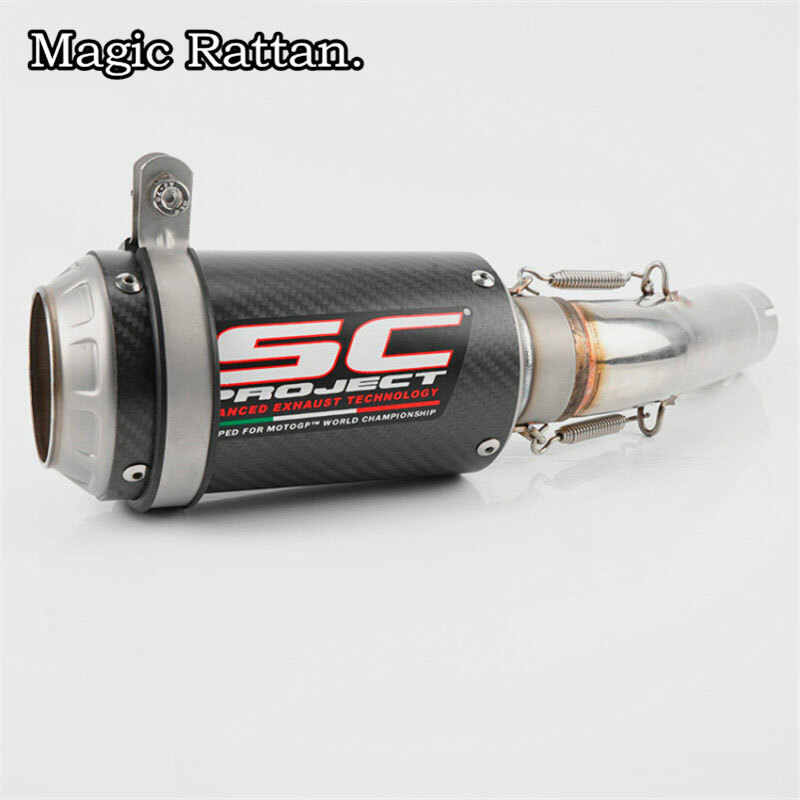 People who make them have not technologies and machinery to produce silencers and collectors. 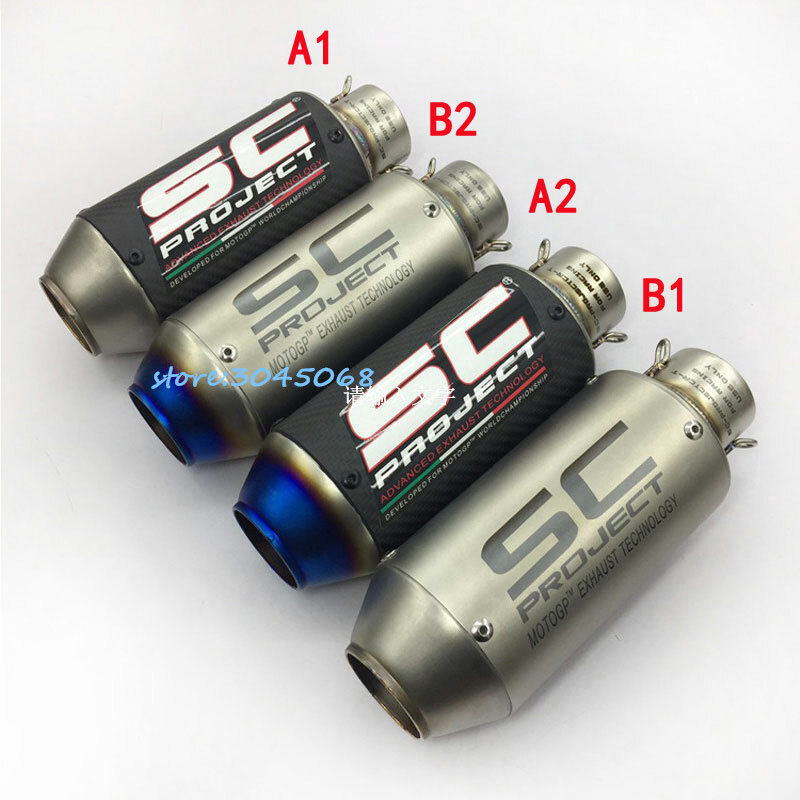 Carbon fiber is usually not a real fiber, but is a copy (carbon look with in its inside dangerous material for health) of the same value of zero, welding are of a terrible quality and don’t present an acceptable mechanical capacity which is subject of breaking. 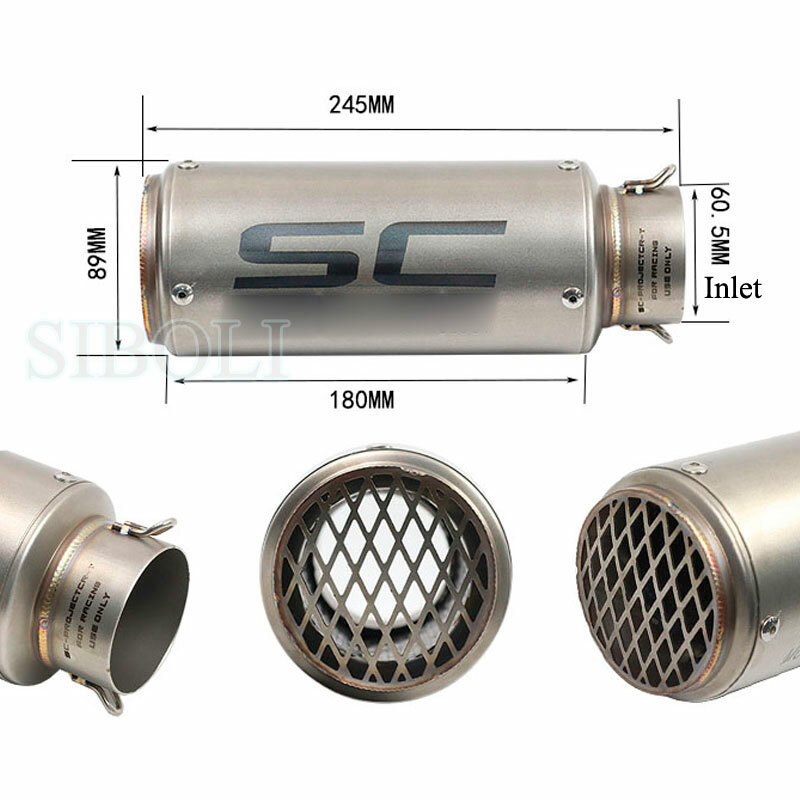 Titanium is produced in China and contains metals which can be carcinogenic. 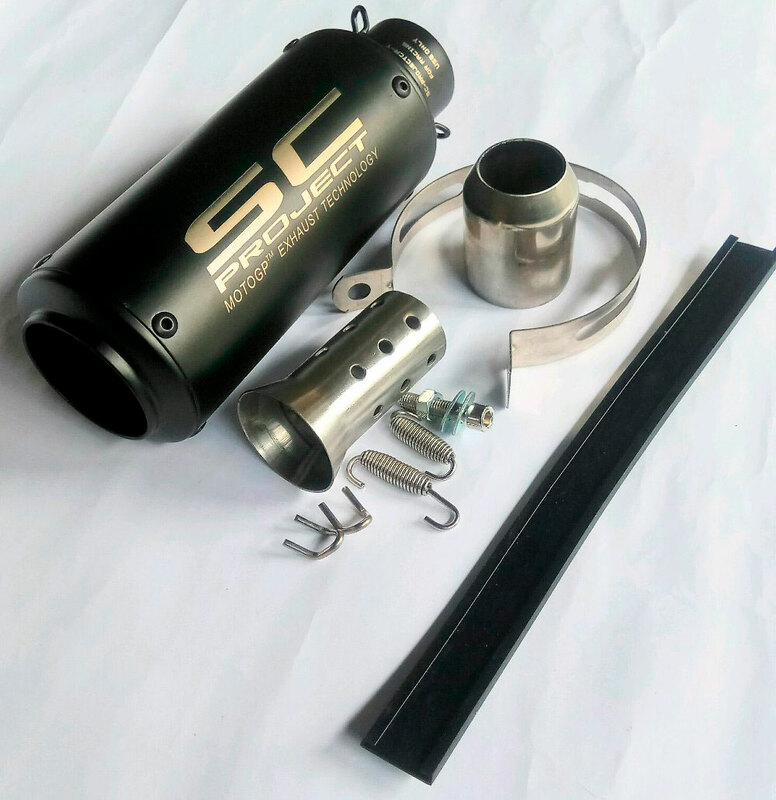 Collectors and junctions are not bent with specific tools and hydraulic pipebending with CNC numeric control, but are realized with more than one welding and unions since tools and machineries for the pipe bending cost hundred thousand euro. 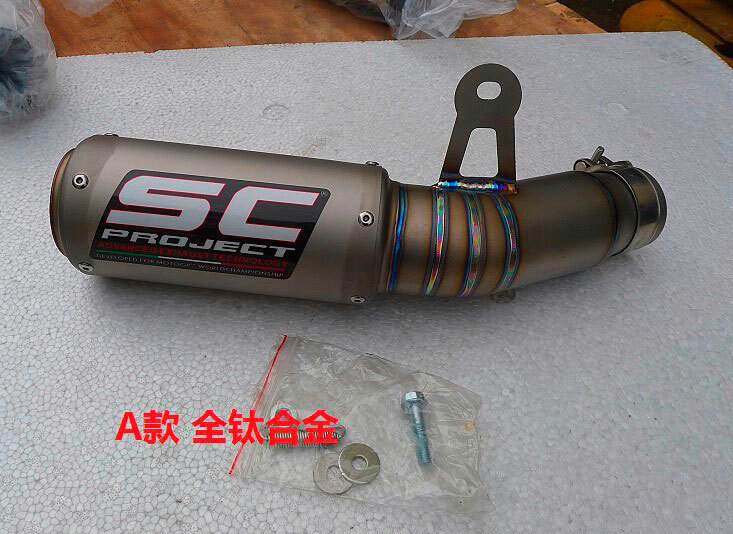 Finishing are of the worst quality, the assemble is very inaccurate and SC-project logo is not the regular and registered brand but terrible copies made with polished plate and laser branding of low quality. 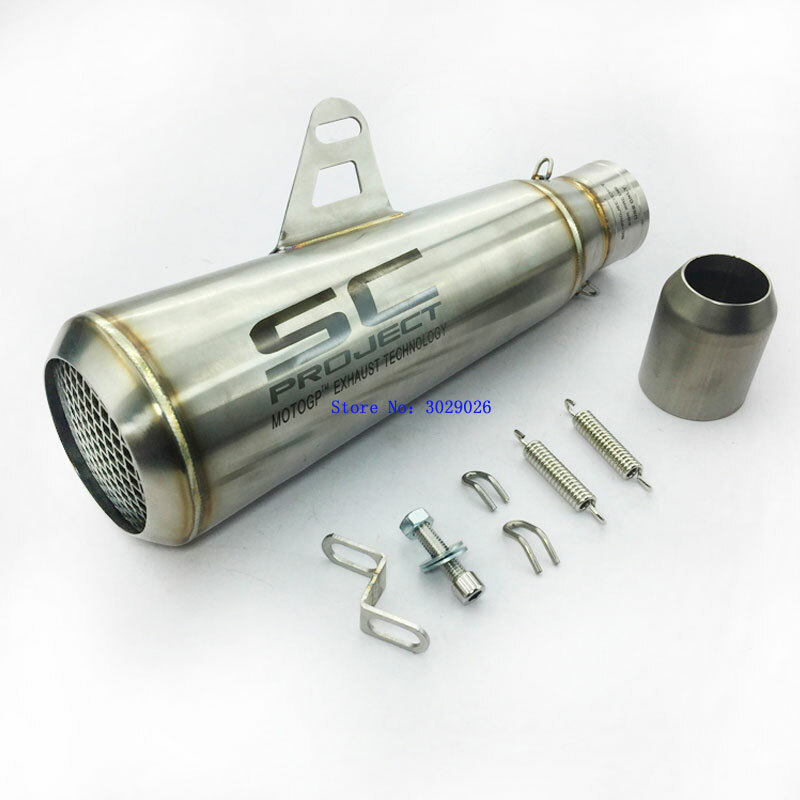 The assembly is unprecise and the inner soundproofing presents material with amiantus which is carcinogenic and dangerous for health. 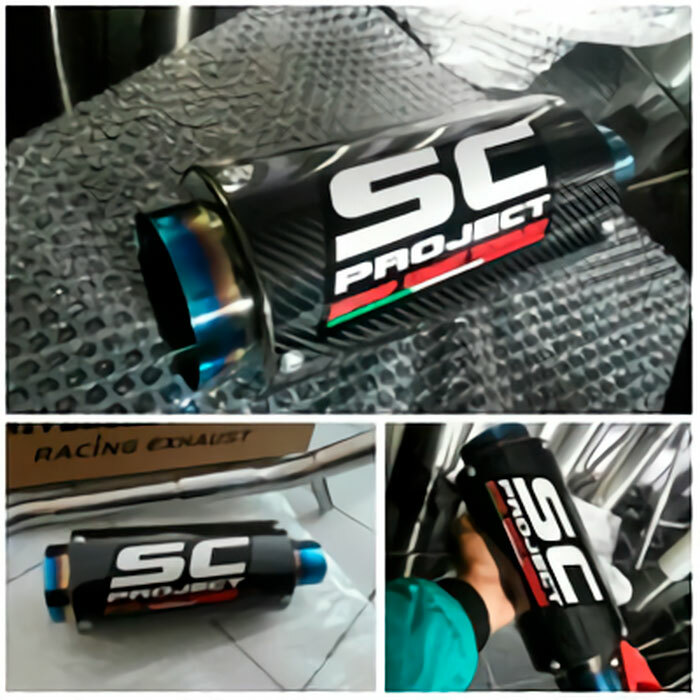 Proportions and colors of SC-Project logo are different from the original registered SC-Project brand. 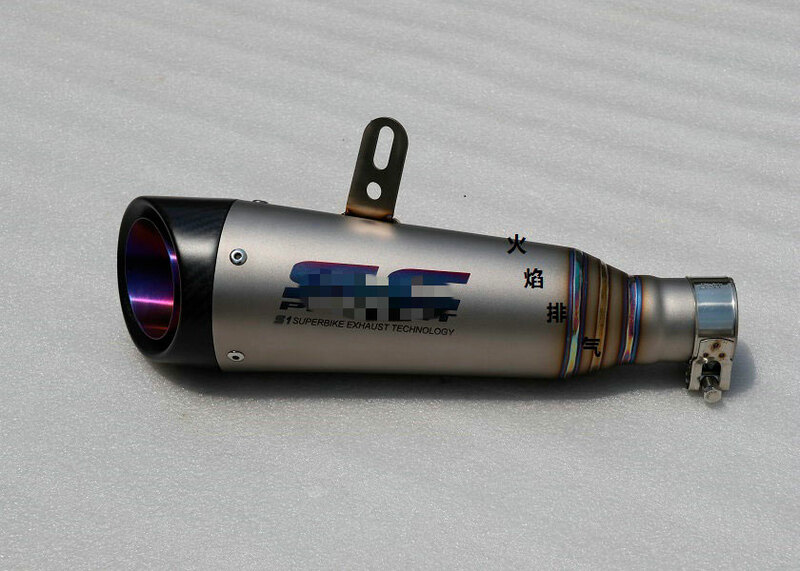 However counterfeiter are trying to specialized and copies are more and more similar to the original exhaust system, with higher visive qualities, even if they are technically terrible. 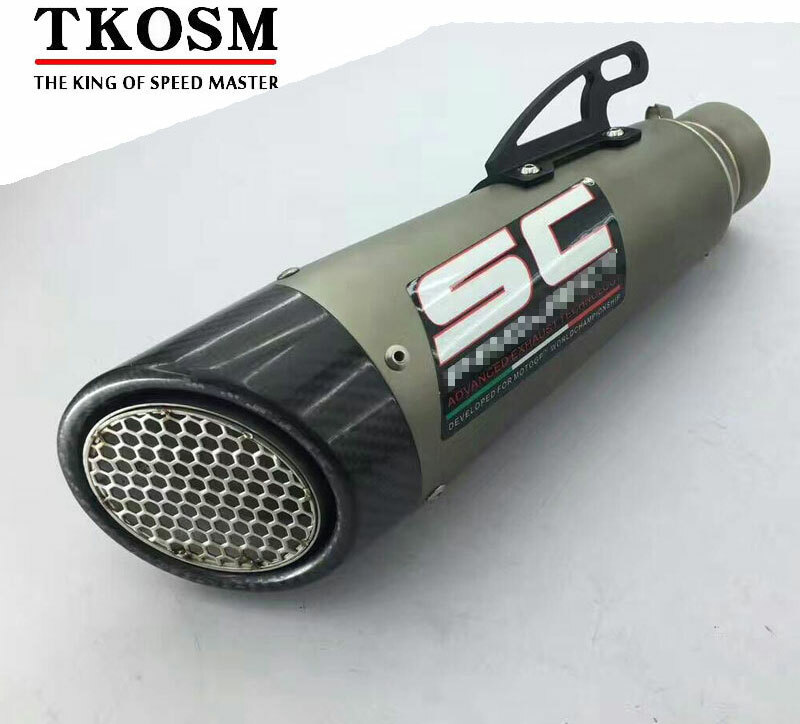 Advertiment, which are often published on Aliexpress, usually ask for paaymant through Wester Union, Money Gram and shipment are made by EMS, City Link, China Postal Air and other Asian couriers. 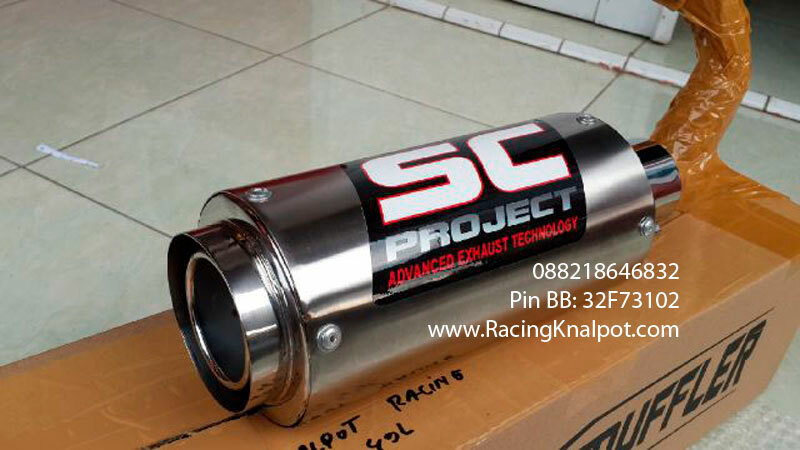 Don’t trust by paying with credit card and money transfer, since there could be fraud, product delivery failure and credit card cloning.. 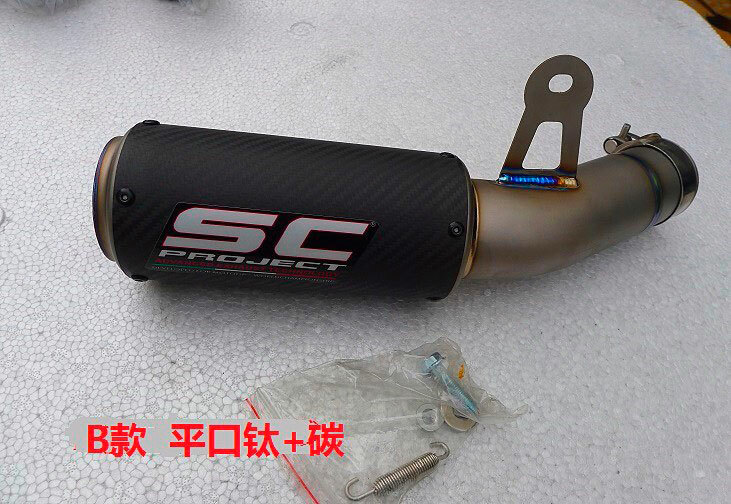 Please be careful about advertisement which use official SC-Project catalogue photos and have too low prices and other imperfections. 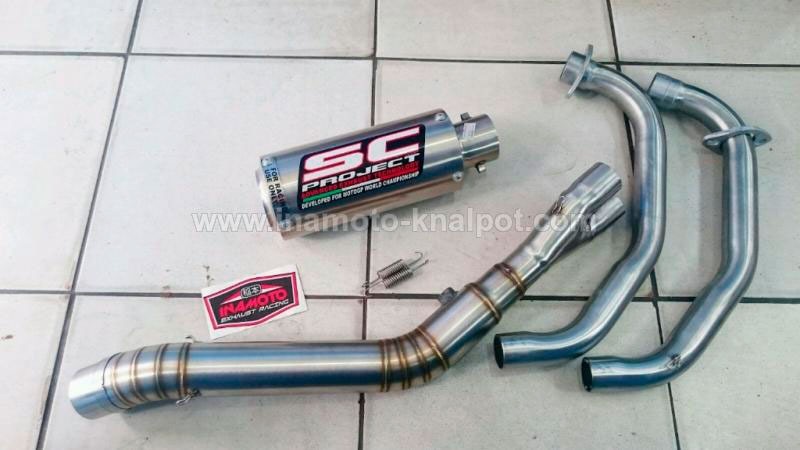 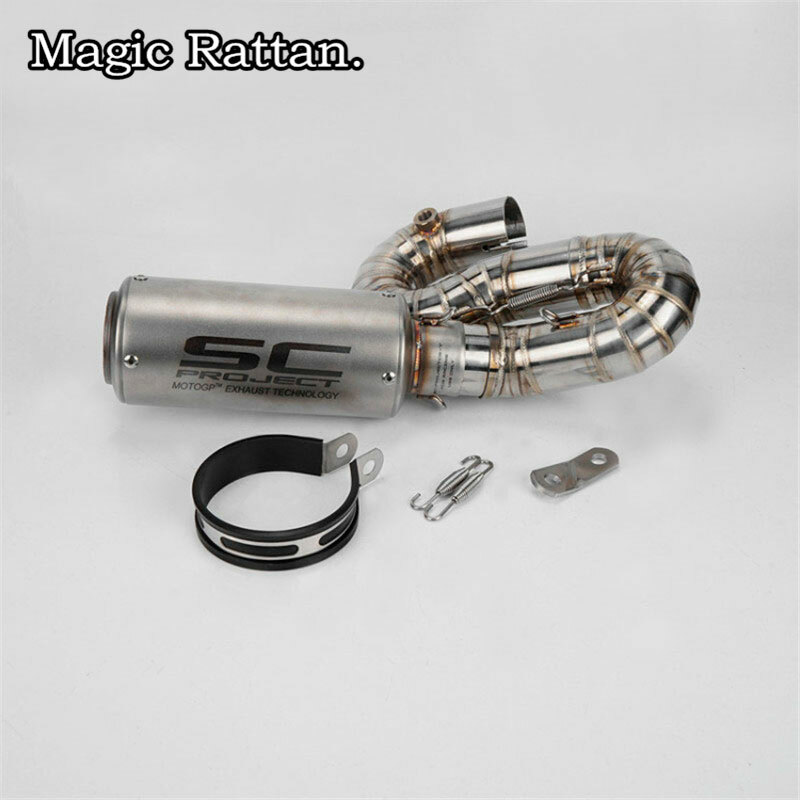 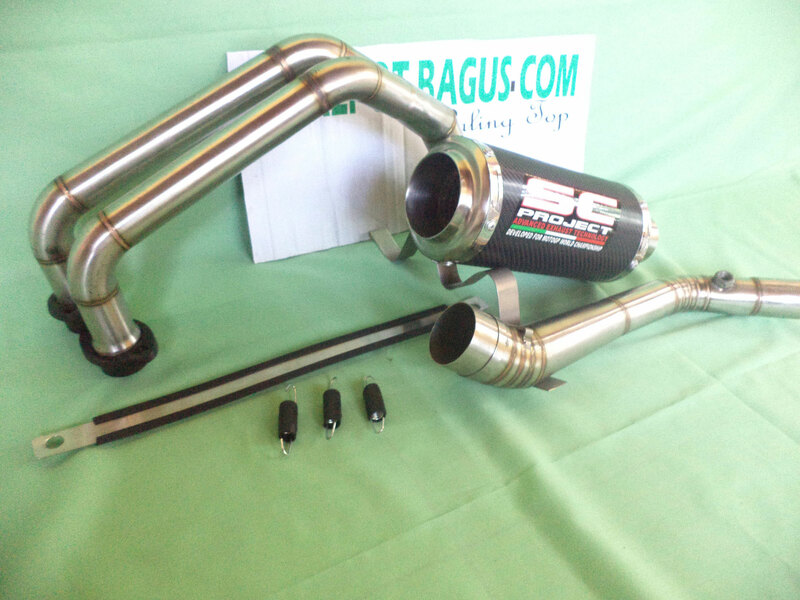 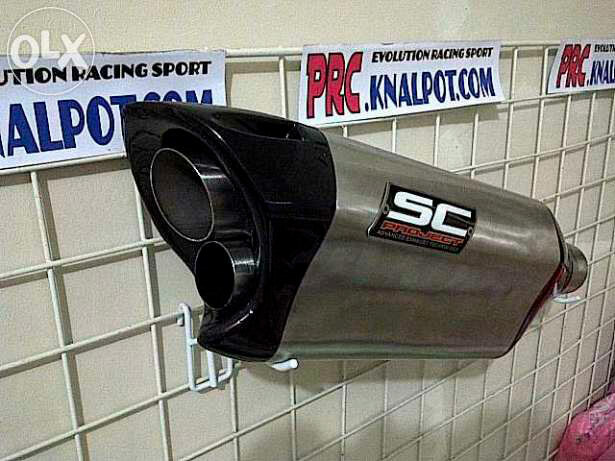 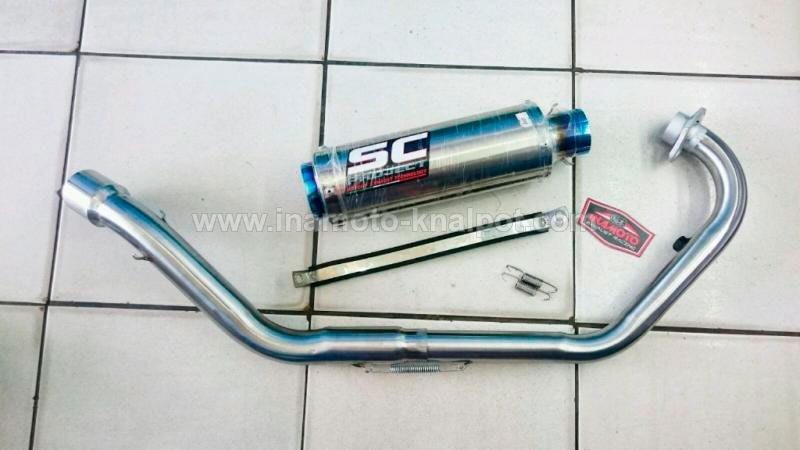 These are advertisements of people selling fake exhaust systems, who use our original photos – illegally taken by our web site www.sc-project.com. 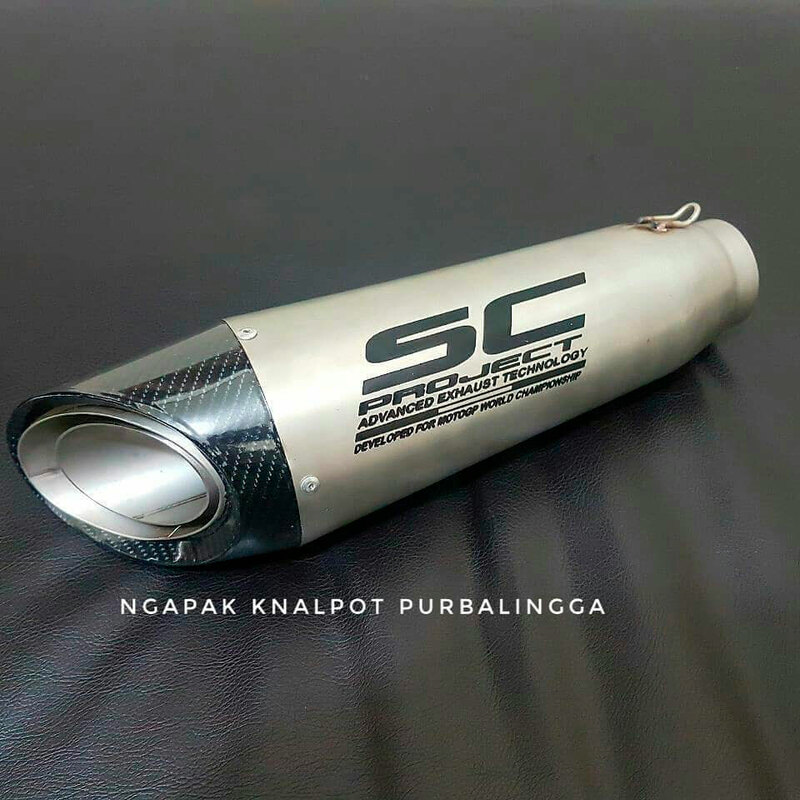 In case of purchase the customer won’t receive the product, or will receive a fake one of the worst quality. 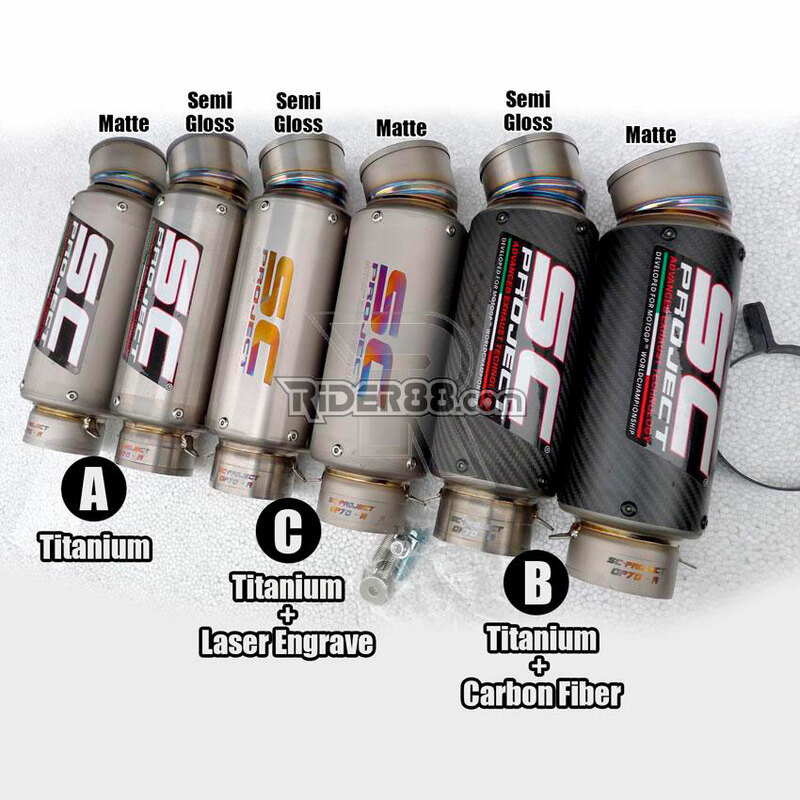 We are not speaking about business or discount prices: these are frauds. 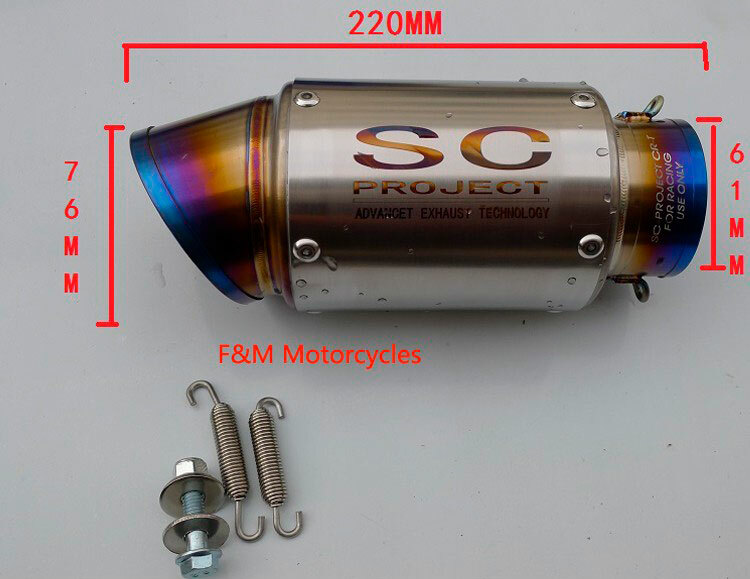 Warning: purchasing and fitting exhaust systems that are counterfeit or of dubious origin could cause serious harm to both the motorcycle and surrounding people. 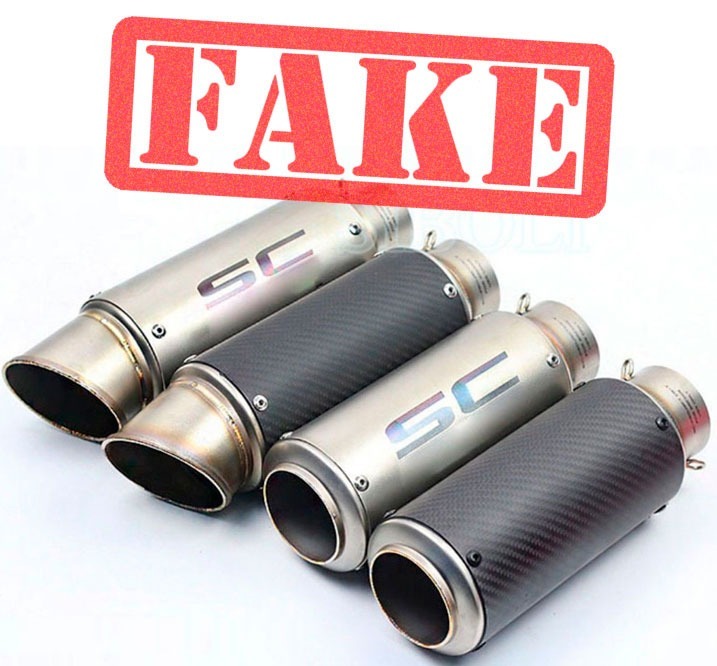 The materials used to manufacture counterfeit exhaust systems are of poor quality and are neither designed for nor tested on the road. 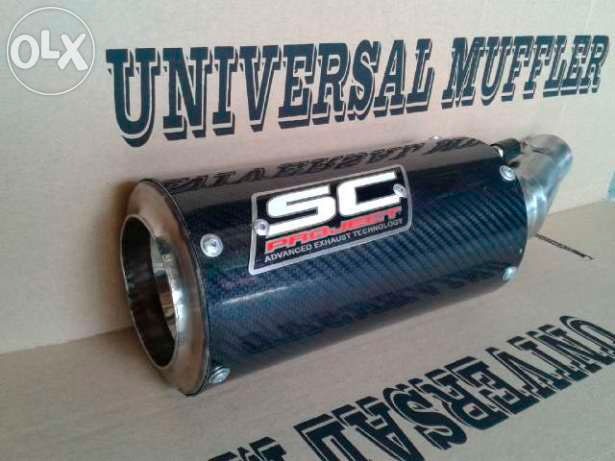 Furthermore, they are not subject to strict quality checks and are not designed and assembled by qualified technicians using advanced technology. 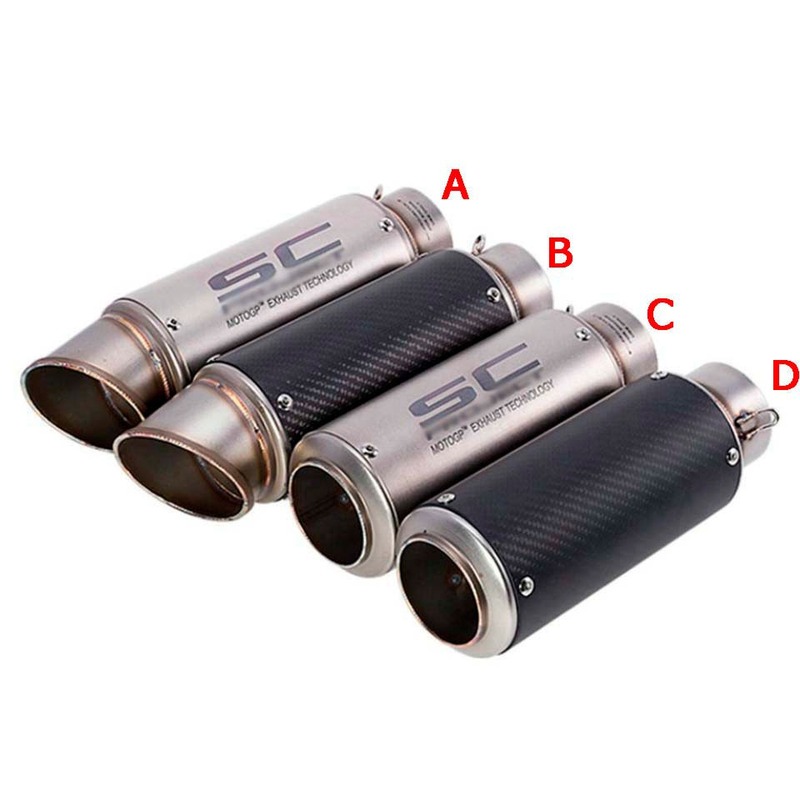 This means that they may break, come apart, crack or cause other structural damage to metals and carbon, resulting in the exhaust system becoming detached from the bike. 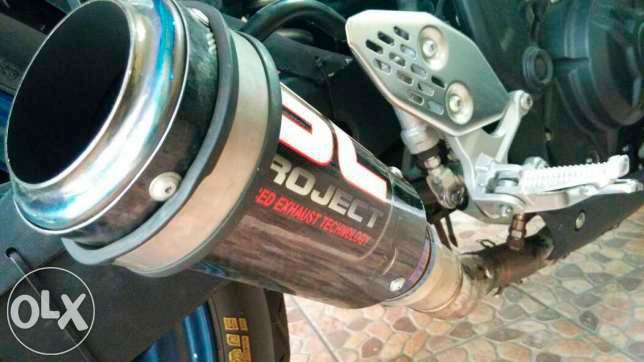 The exhaust system is hangs from the motorcycle and could become detached while riding, seriously harming surrounding people (vehicles and other motorcycles that follow). 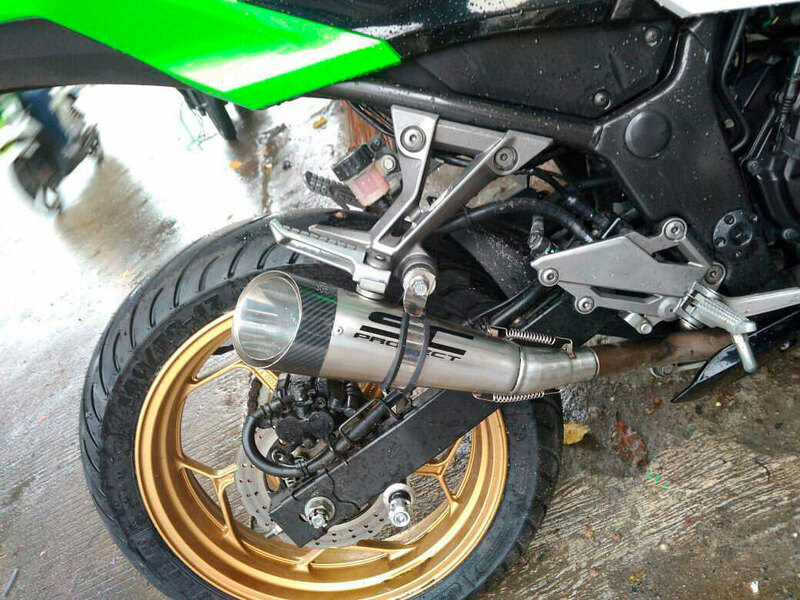 This is because the brackets and fastenings that attach counterfeit exhaust systems to the motorcycle do not meet safety requirements meaning cracks and breaks are likely to develop in the materials, particularly the welds, which do not meet any technical requirements or certifications. 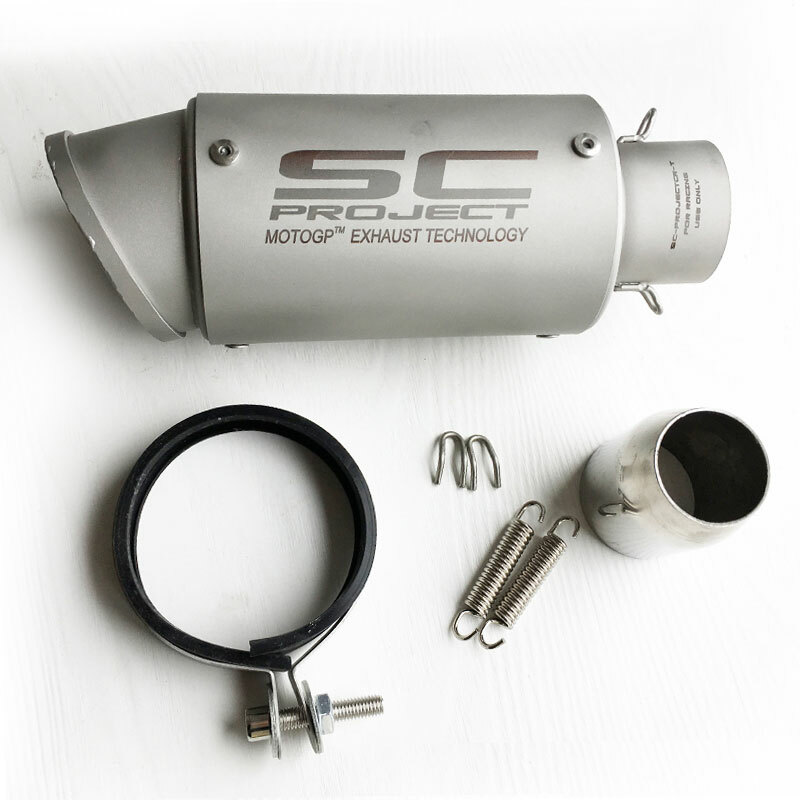 At a speed of just 50 mph, the detachment of an exhaust system can cause extremely serious harm to the surrounding environment, leading to accidents and injuries, especially on the motorway. Beware of purchasing products that are not genuine, not certified and not guaranteed: they may result in significant and indemnifiable damage! 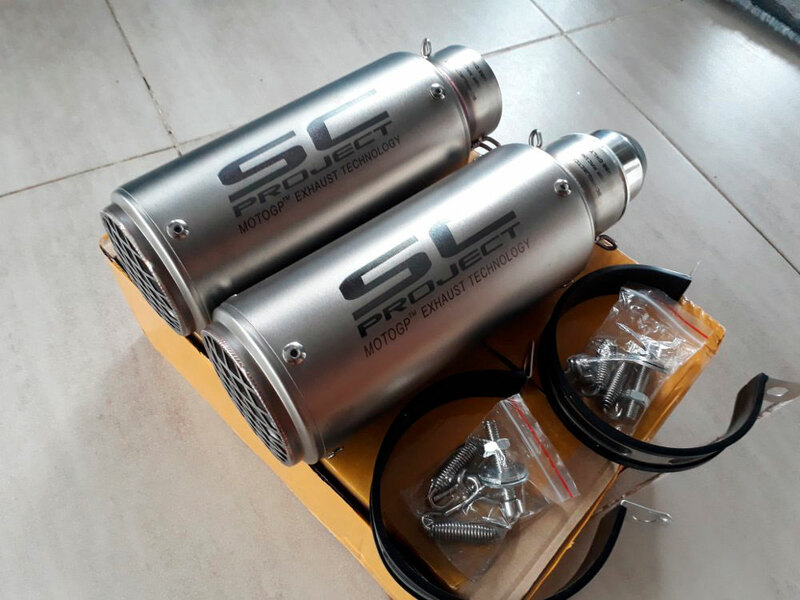 Genuine products cost more. 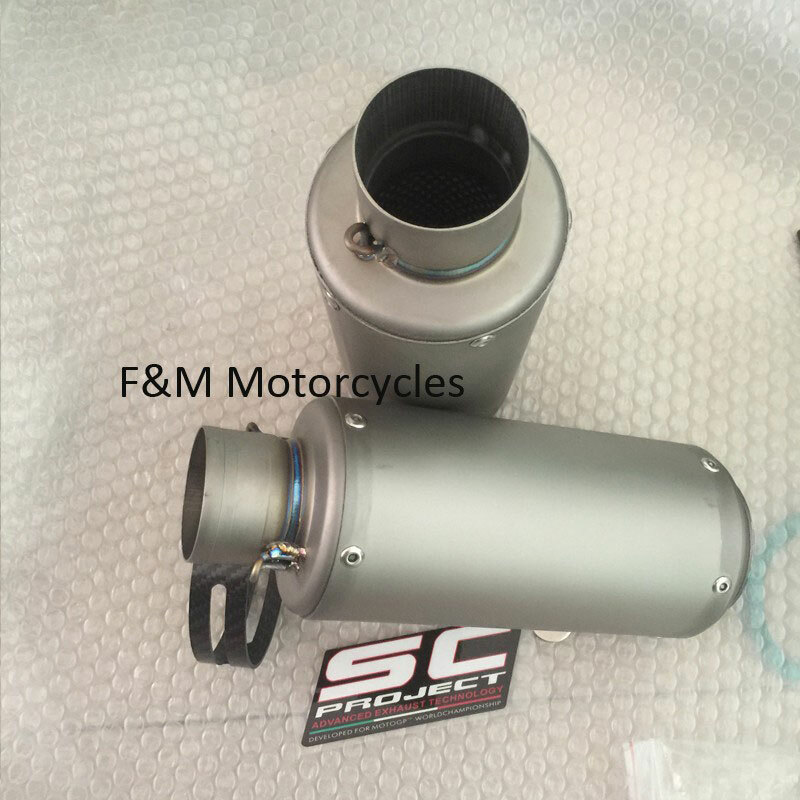 This is because they use quality materials and are 100% manufactured in Italy by specialist technicians using expensive and high-tech plant and machinery. 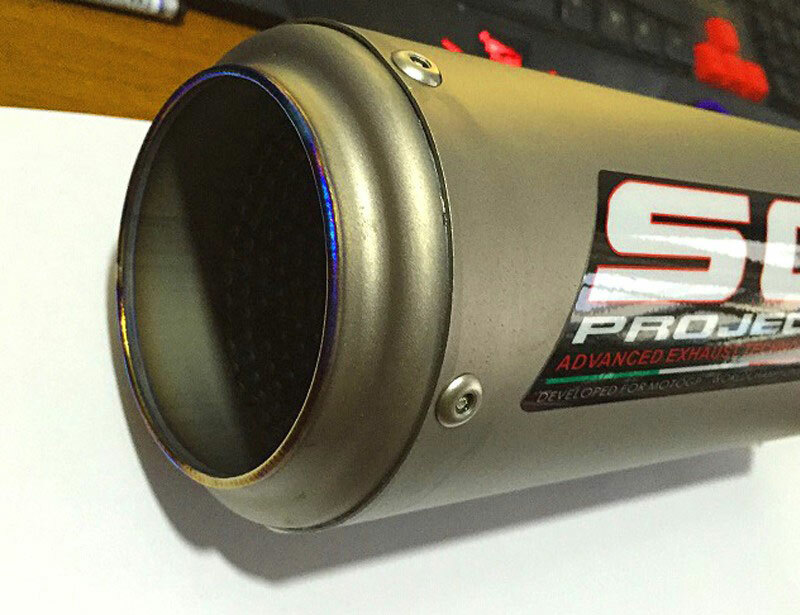 Counterfeit products do not offer this quality. 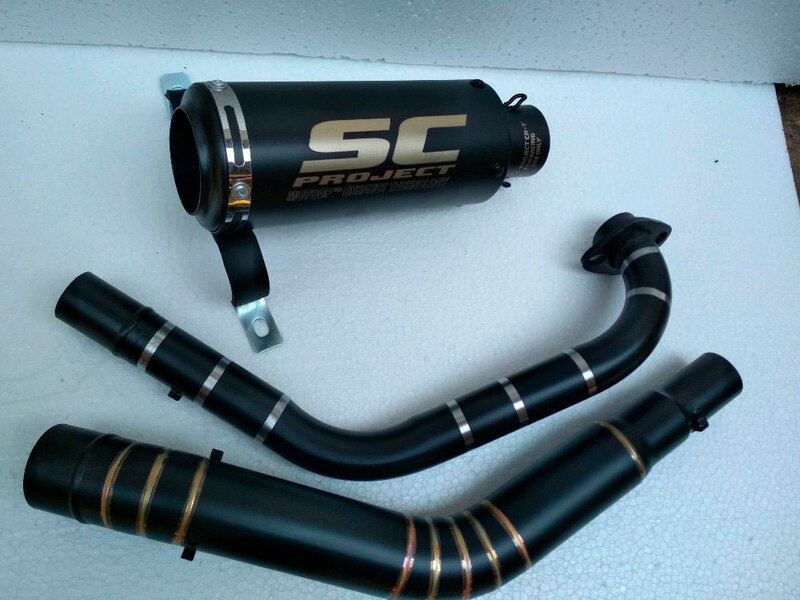 SC-Project is a company accredited to manufacture exhaust systems for motorcycles and holds certifications from the Italian Ministry of Transport and German TUV.